(NaturalNews) The drug companies rushing to develop Ebola vaccines in the wake of this latest manufactured epidemic won't have to worry about getting sued when their jabs kill people. A study recently published in the British Medical Journal (BMJ) explains that vaccine manufacturers will have full immunity in the event of injury or death from Ebola vaccines, which is reason enough for the public to avoid them at all costs. U.S. Department of Health and Human Services (HHS) Secretary Sylvia M. Burwell recently announced that, in accordance with the Public Readiness and Emergency Preparedness (PREP) Act of 2005, Ebola vaccine manufacturers won't be held liable for claims brought against them, even if there's overwhelming evidence that the vaccines cause serious harm or death. The PREP Act delineates that vaccine manufacturers are shielded from liability when their products are offered in response to an "urgent" public health need, including biological, chemical, radiological and nuclear agents of terrorism, as well as epidemics and pandemics. In other words, if the media is able to stir the public into a panic over some new disease or terrorist threat, drug companies can respond with drugs or vaccines that will incur for them no liability whatsoever. The declaration reportedly went into effect on December 3, and Sec. Burwell announced that she hopes other countries will follow suit. Holding vaccine companies accountable for causing permanent harm or death is no longer an acceptable American value, and neither should it be for the rest of the "global community," as Burwell puts it. "[W]e must ensure that legitimate concerns about liability do not hold back the possibility of developing an Ebola vaccine, an essential strategy in our global response to the Ebola epidemic in West Africa," she stated. What this essentially means is that vaccine companies now have full license to kill, and there's absolutely nothing the general public can do if they become injured or die after taking a protected vaccine. 100 percent of the risk is borne by vaccine recipients, in other words, which is hardly a gamble worth taking when one's children are involved. As you may recall, vaccine companies already have almost limitless protection from liability for all the other vaccines they produce, thanks to a 2011 Supreme Court ruling that exempts them from being held accountable to the law in a normal court (hence the creation of the phony "vaccine court"). But now they want even more protection during "emergency" situations like Ebola, which serves as a convenient cover for vaccine manufacturers to produce all the deadly vaccines they wish without consequence. 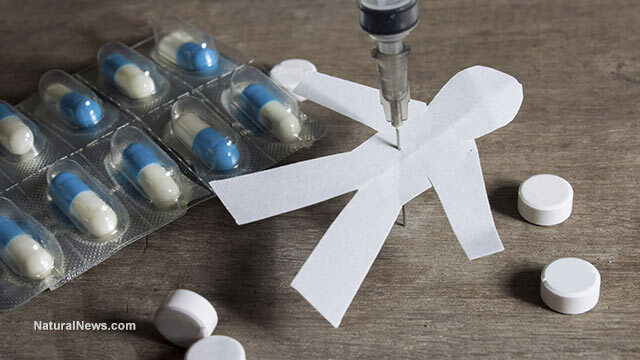 "Drugmakers that provide vaccines here in the US have been granted a no responsibility ticket when it comes to their vaccines," explains Age of Autism. "It protects not only those who create the vaccines, but protects those who administer them also. Simply put, manufacturers and medical providers can make and give all the vaccines they want. They are never held accountable for any of them, including the vaccines that harm or kill people."